Repairing holes in felted items. This especially comes in handy on felted slippers; simply fill in the hole with fresh yarn and poke away. Splicing in new yarn. For those times when you just can’t afford to waste any of your yarn, you can use a needle to splice two strands together. Securing short or very bulky ends. Did you know that you can use a felting needle to secure your ends to your fabric instead of weaving them in? I wouldn’t recommend doing so as a normal procedure, but there are times when it can come in handy. Two situations that I’ve run into are very short tails (less than 1″ long) and very bulky tails (#50 needles). Of course, every tool comes with caveats, and felting needles are no exception. As I mentioned before, they are VERY SHARP, so be very careful that you don’t poke yourself with them. Also, some applications work best if you place a felting mat beneath your work. This can be a fancy-schmancy one that’s made especially for needle felting, or it can be a simple piece of craft/upholstery foam. Finally, please bear in mind that felting needles only work on yarns that can actually felt, so plant fibers, acrylic, and superwash wool are bad candidates. How about you? 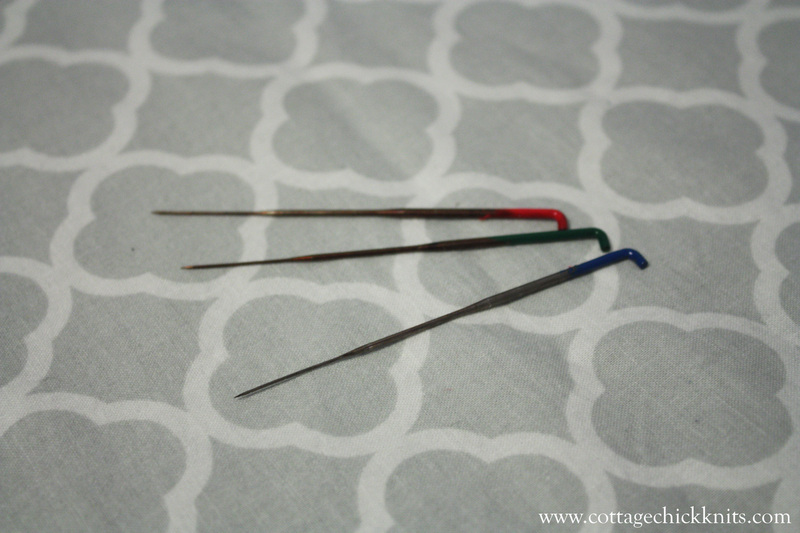 Have you ever used felting needles? Please share below!